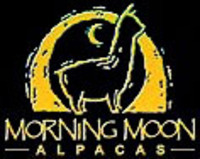 Morning Moon Alpacas is a farm located in Rogersville, Missouri owned by Michael and Dianne Six. 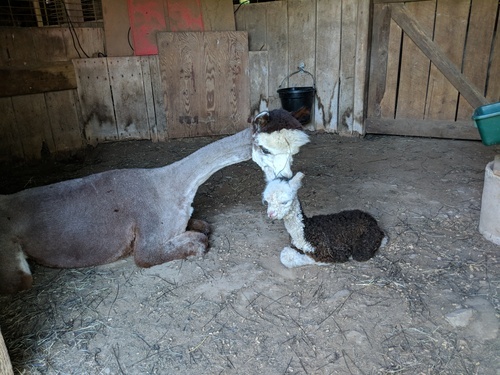 - You want read Articles about the health of alpacas e.g., "The Silent Killer"
- We have more wonderful alpacas not shown here "come and see"
If Any of These Reasons is Your Goal Then You Have Come to the Correct Place! We are Looking Forward to Working with You, No Matter What Your Level of Interest Might Be. So what ever your reason for visiting our website... give us a call today! Morning Moon is offering a "Great Savings" on all of our alpacas. We have decided after 19 years raising alpacas it is time to downsize. We are not going out of business and plan to stay involved for years to come. We will have 5 new crias for you to see soon. Nobility, Indiana Jones, Excelsior, Our Legacy of Rivanna and HC Resolute Salute from Manna Meadows offspring will be ready for you to evaluate the results of absolutely incredible blood lines. Which herd-sire(s) would you what to have for your future generations? We are offering discounted breeding's and sales to our studs and junior herd-sires. These males have to die for bloodlines, amazing fiber and conformation. Contact me for additional information and references. I will provide several from around the country. Morning Moon Alpacas offers quality and value in a range of prices. 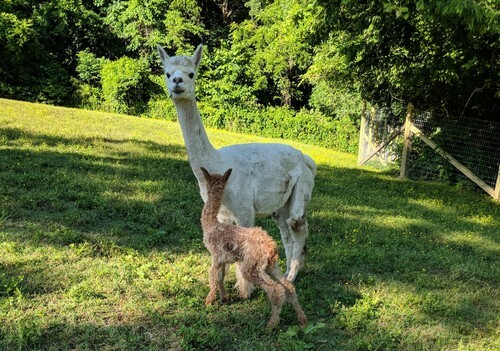 Whether you are looking for your first alpaca, or need to add specific traits to an established herd, we can help you choose the right alpaca(s) for you. Fiber is the future of the alpaca business, and alpacas with fine fiber that stays fine (called: lingering fineness) as the years go by will hold their value. This is and has been the primary goal of our breeding program. The preferred color of the international fiber market used to be white, but the international fiber industry and the cottage industry are currently looking more to natural colors because of the green earth movement. However, we offer the spectrum of colors with alpacas in white, beige, fawn, brown, silver grey, rose grey and black. 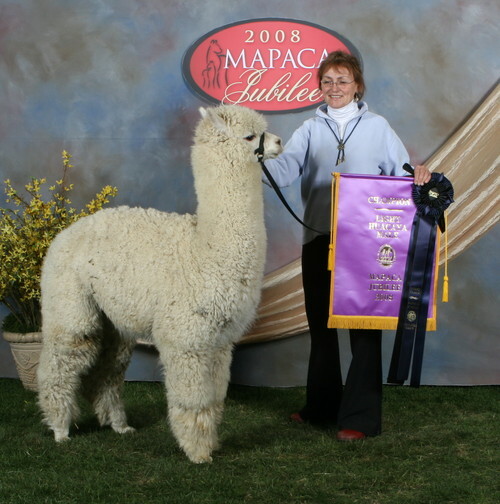 Whatever colors you are breeding for, using superb alpacas with outstanding genetics will help you to breed alpacas of lasting quality and value. Passing highly regarded genetic traits with our wide selection of pedigreed herd-sires from some of the top bloodlines in the country is proven right on our farm. Come and put your hands on their offspring and see for yourself. We have several generations to help you compare the strength of the genetics we offer. Mentoring new and existing alpaca owners is our key to success. 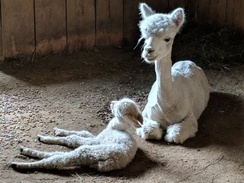 We offer 24/7 mentoring services such as: remote or hands on assistance for cria delivery, herd health protocol, farm layout, fiber (from shearing to product), marketing, sales, training both alpacas and owners, and much more. Take advantage of our many years of experience and jump ahead of the learning curve to accelerate your successful alpaca business. If you are successful, it makes the business of raising alpacas in the US successful. We welcome your questions! Come and visit, you may find an incredible addition to your herd. Want to start your own alpaca business? Contact us to discuss a whole herd purchase at an incredible discount.